A transient student (aka “guest student”) is a student enrolled at one University, but taking classes at another that will count towards their degree at their home University. Students that are under academic suspension or dismissal from their home institution will not be admitted to Calhoun Community College as a transient student. 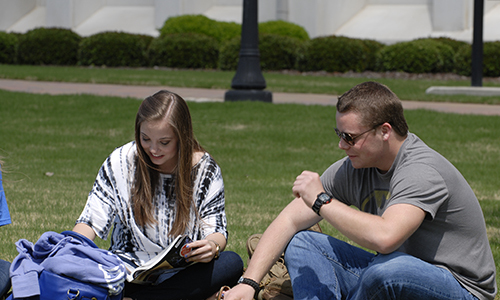 Transient students must request and ensure that the Registrar of their home college or university send a letter of transience (aka “Letter of Good Standing”) directly to the Calhoun Community College Admission’s Office. The letter must indicate that the course(s) to be taken at Calhoun will be acceptable at that institution. Letters of transience must be on file prior to the student’s registration for courses. Transient students cannot receive financial aid at both institutions, only their home school for which they are degree seeking is responsible for processing their financial aid. Transient students should plan to contact their institution’s FA office several weeks prior to the start date of Calhoun’s semester they intend to register for. Transient students will be expected to pay their tuition, fees, and books by the payment deadline. There are no exceptions to this rule. A transient student’s home institution will issue their financial aid refunds at their regularly scheduled time. Applicants who attended high school, college or received a GED outside the state of Alabama may be assessed out-of-state tuition. Once the transient student completes the term, they must submit an on-line transcript request to have their transcript sent to the Registrar’s Office of their home school. NOTE: Transient students are exempt from Placement Tests. Transient students are not required to submit high school or college transcripts since the transient approval letter will serve in lieu of transcripts. 1. APPLY FOR ADMISSION by selecting the transient student application. A) SIGNATURE PAGE and a copy of your DRIVER’S LICENSE (or other government issued photo ID). B) TRANSIENT LETTER (aka “Letter of Good Standing”) with the approved courses listed and the appropriate signatures from your home institution. Your Signature page, ID and Transient Letter MUST be received by the Admissions office before you will be granted access to register for your approved course(s) using MyCalhoun. 3. A MyCalhoun user ID (C-number) will be emailed to the address we have on file. You will be able to register, print your class schedule, pay your tuition online, etc. through your MyCalhoun account. ID CARD (Students must present schedule to have ID card made). Huntsville – ID processed in the Admissions Office. 5. Go to classes! You may find it helpful to visit our PHONE/E-MAIL DIRECTORY . There you may look for contact information by department/area or you can go to an alphabetical listing if you know the person’s name that you need to contact. Also visit the ADMISSIONS PAGE for other useful information. Have at least a 2.0 cumulative GPA and be in good standing. Not be a first semester student. Not have any registration or financial holds. Not have previously completed the requested course with a grade of “C” or better. Not be on a third attempt or more for the requested course. Not exceed the maximum allowed credit hours for the term of attendance. Not be currently enrolled in the requested course(s) at Calhoun. Meet the Calhoun pre-requisite(s) for the requested course(s). Be currently enrolled in a degree or certificate program. Have requirements remaining towards a degree or certificate program. 2. Transient students must receive approval from their academic advisor and the Registrar’s Office before taking a course at any other institution. 3. Credit will only be accepted from regionally accredited institutions where there are reasonable course equivalencies. It is the responsibility of the student to determine the accreditation status of any institution where they intend to take courses as a transient student. 4. When applying for transiency, students may need to provide the Registrar’s Office with a course description for each transient course requested. 5. Federal regulations prohibit students from receiving aid from more than one institution during the same academic term. Therefore, all requests for financial aid during terms of transient study must be filed with Calhoun, not the host institution and initiated several weeks before the semester start date. 6. All tuition, fees and books/supplies owed to the host institution are to be paid directly to that institution by the student by the host school’s deadline. If applicable, potential reimbursement via financial aid would follow. 7. Transient coursework must transfer back to Calhoun and apply toward the degree-program the student is enrolled in. 8. Students who attempt transient courses at a host institution must provide an official transcript with final grades from the host institution upon completion of the transient courses.